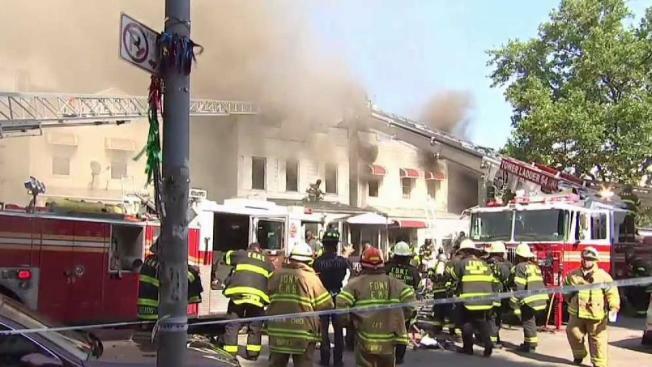 Three people were arrested in connection to a huge fire in the Bronx that injured eight firefighters, officials said Sunday. Two of the suspects admitted to having a "fireworks fight" shortly before the fire broke out, the FDNY said. The third is accused of buying the fireworks. The fire spread to six apartment buildings shortly after it broke out Thursday afternoon. 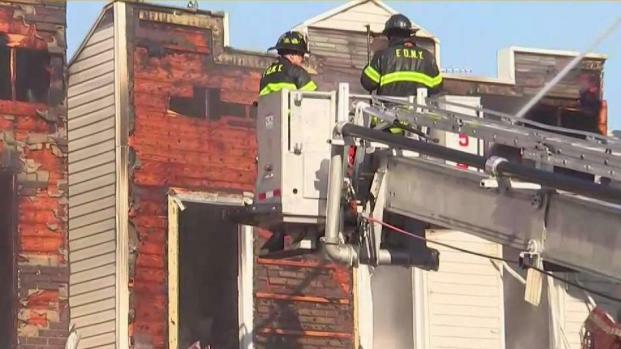 More than 160 firefighters responded to the smoky inferno at three two-and-a-half story homes on the 1100 block of Olmstead Avenue in Soundview, officials said. Alejandro Soler, 27, of the Bronx, is charged with illegal possession of fireworks. He's accused of buying the fireworks at a large retail store in Westchester. It wasn't clear whether the three suspects had attorneys.